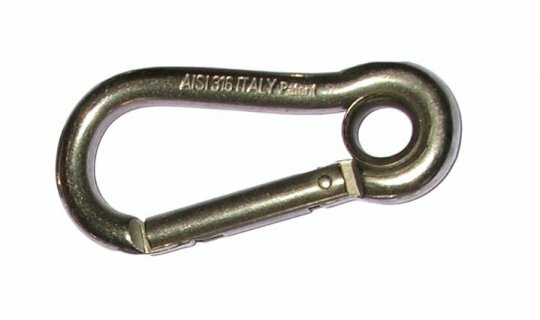 Tested stainless steel construction carbine hook with enclosed eye and keylock to prevent snagging. The carbine hook has an overall length of 70mm in 7mm diameter wire with a safe working load (SWL) of 180kg. 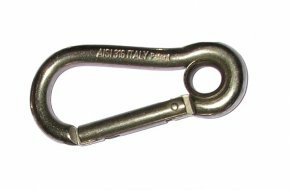 The carbine hook has an overall length of 50mm in 5mm diameter wire with a safe working load (SWL) of 120kg. 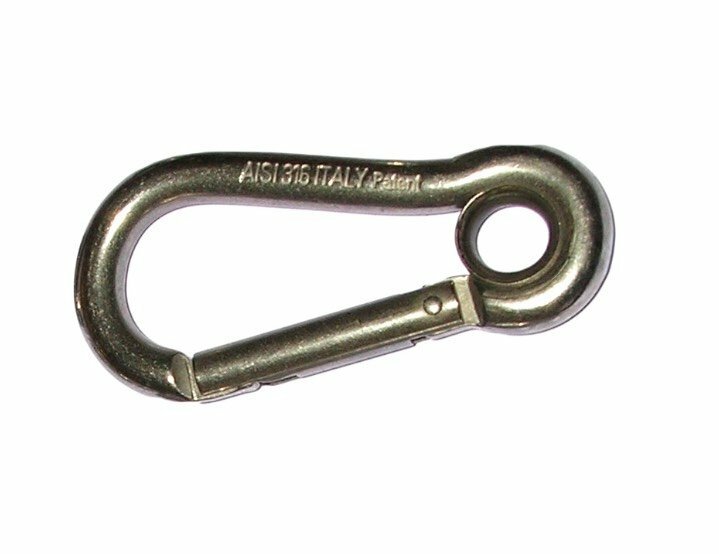 The carbine hook has an overall length of 60mm in 6mm diameter wire with a safe working load (SWL) of 120kg. The carbine hook has an overall length of 80mm in 8mm diameter wire with a safe working load (SWL) of 230kg. The carbine hook has an overall length of 160mm in 13mm diameter wire with a safe working load (SWL) of 600kg.